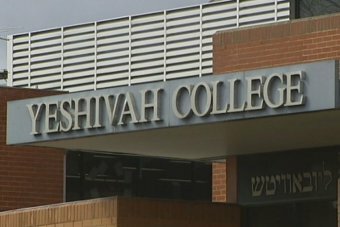 Senior rabbis linked to the Yeshivah College will give evidence into their handling of allegations and the treatment of abuse victims and their families (photo: ABC News). Child abuse victims and their families have been abused and ostracised by people within the ultra-Orthodox Jewish community for breaking the Chabad code of silence, the Royal Commission into Institutional Responses to Child Sexual Abuse has heard. The role of the Jewish law and the concept of Mesirah, the religious code dictating Jewish people do not report or "hand over" other Jewish people to the authorities, will form part of the inquiry into abuse at the Yeshivah centres in Melbourne and Bondi. One victim told the inquiry he was groomed by serial child abuser David Cyprys in the 1980s while he was a student at the Yeshivah College. He told the inquiry the then head of the Yeshivah, Rabbi Dovid Groner, said "I thought we'd fixed him", when he was told of the abuse. The victim, known only as AVA, said he had absolutely no doubt people at Yeshivah knew Cyprys had a penchant for young boys. Cyrpys is currently serving an eight-year jail term in Melbourne. Counsel assisting the commission Maria Gerace said evidence would be given about abuse perpetrated by three convicted child abusers, Cyprys, David Kramer and Daniel Hayman, and the commission would look at when Jewish leaders first heard of allegations and their responses. Child abuse victim Manny Waks said he also told Rabbi Groner of the abuse he was subjected to. He told the inquiry he reported the abuse to Rabbi Groner in the 1990s and in 2000s, but Cyprys continued to work as a security guard at the centre. "He [Rabbi Groner] practically pleaded with me not to pursue the matter," Mr Waks said. Mr Waks told the commission he felt "let down by the system" as his complaints to the Yeshiva leaders, and his initial complaints to police, went ignored. He said he and his family had faced backlash for "breaking the Chabad code of silence", as many within the Chabad community believed it would increase anti-Semitism. Mr Waks read out a critical email sent to him after he went public about the abuse. "Get over it already," the email said. "There is something very ugly and personal about your anti-Yeshivah campaign. "Just because a security guard molested you, don't blame Yeshivah. "Most people consider you a low life... because of your malicious blame game." Mr Waks became emotional when he described the impact of the intimidation on his wife. He said his wife was a very private person and felt she could not go certain places because "people knew who she was". "When people saw her in the street, no-one said anything negative but they used to stare and make her uncomfortable and it became unbearable for her," he said. Mr Waks told the hearing he wanted an acknowledgement that he had done nothing wrong by speaking out. "What I would most like to see is an unequivocal acceptance of responsibility by the Yeshivah leadership for what happened to me and the others who were abused," he said. "I would like them to condemn the ongoing intimidation and harassment of me rather than condoning or even inciting it. "I would like them to take steps towards genuine repentance which includes requesting genuine forgiveness and offering recompense."